We’ve made it a priority to tightly integrate our vast array of business apps. 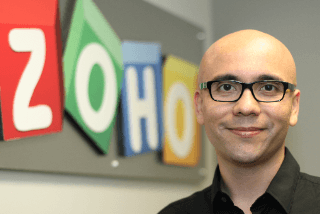 Today we’re announcing a special update: Zoho CRM and Zoho Projects integration. Zoho CRM allows companies to manage a lead through all the stages until it finally becomes a customer. But.., what happens next? Well, if you’re in the services industry – or any other industry where people live and die by the project, when a customer signs on the dotted line is exactly when the real work begins. And what a better way to manage that than with Zoho Projects? So today we’re making it easier to go from a closed deal to a happy customer with a finished project. How? 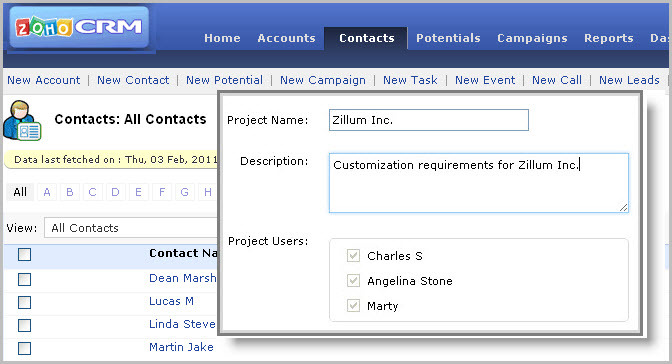 Add CRM contacts as users of the new project, and create accounts for them to access. You can of course specify if those users are internal or customer. A single view of your customer. Really. CRM systems are put in place for many good reasons. One of them is to get a single view of your customer. 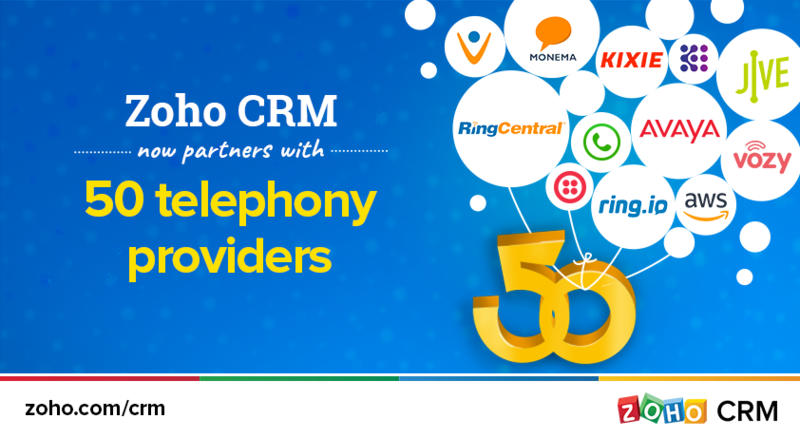 Zoho CRM + Zoho Projects integration takes that to the next level. Now your sales executive can know how your customer projects are doing. Are you behind schedule? You might think twice about making that sales call today… maybe wait until Tuesday when the team will have had enough time to catch up on deliverables. Of course, what works for an existing customer also works for a prospective customer. Some sales cycles are so complex and long that the sales engagement IS a project by itself. You can also use Zoho CRM + Zoho Projects in this case to collaborate with all your co-workers involved in the prospecting, including Sales, Marketing and Engineering. Zoho CRM + Zoho Projects is available for all of our Zoho CRM Professional and Enterprise edition customers – and it works with any level of Zoho Projects subscription, including the Free one. Google Apps customers also benefit from this integration when they get Zoho CRM for Google Apps (and of course, Zoho Projects is also available int the Google Apps Marketplace). We trust you’ll find this useful. Please let us know your feedback! Hi,This is not working with my CRM. Hi,Thanks for the comment. Can you explain us what you do mean by Tasks and Events for the Project Client Users sync with Zoho CRM ?Can you elaborate us what you exactly need here ?Dilip. Team,Great work!!! I am working this integration for both current projects and potential projects. When do you think the integration of tasks and events for the project client users will be synced.Keep up the great work!